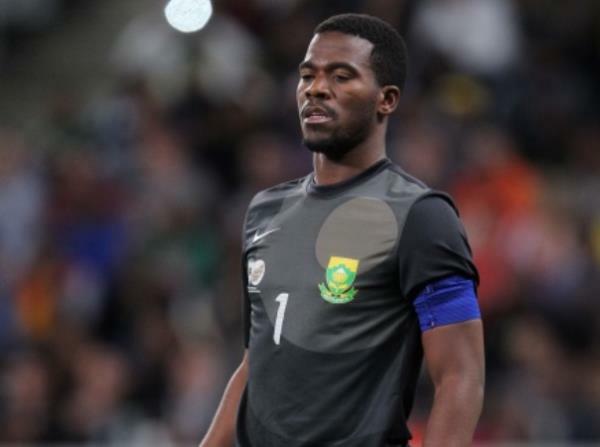 The country's top regional and national detectives have been appointed to investigate the fatal shooting of Bafana Bafana captain Senzo Meyiwa, national police commissioner Riah Phiyega said on Monday. "A multi-disciplinary task team has been established to investigate the crime... led by Gauteng's head of detectives," she told reporters in Johannesburg. She said investigators were currently at the scene of the crime in Ekurhuleni -- Meyiwa's girlfriend Kelly Khumalo's house. The reward for information which would lead to the arrest and conviction of those involved, had also been increased from R150 000 to R250 000, she said. Meyiwa was shot in the upper body on Sunday night at the house while he was with friends. Phiyega said he died on arrival at the hospital. One of the suspects was described as tall, slender, with a dark skin tone and dreadlocks. The second man was short, also had a dark skin tone, was short and well-built. "We are appealing sincerely to the public to assist with the case. We believe someone, somewhere, somehow knows something about this crime. "This type of loss is undesirable for our country and doesn't bode well for our image." She sent condolences to Meyiwa's family, friends, colleagues and fans.